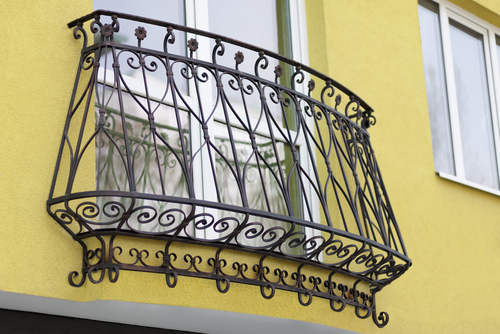 Have you ever heard about the most fascinating window grill installation tips in Singapore? A good house should definitely have the best window grill installation that will match your house needs. You don’t have to install your window grills on your own thus there is need to involve a competent technician. There are different types and models of grills that are available in the market today. However not all of them can be installed by ordinary people. In fact some may actually require installation by highly skilled technicians for them to perfectly fit to your window frames. A good house requires high premium quality installations that meet the required standards. The following are some of the significant tips that you should consider before buying and installing your window grills. Try them today and you will be part of the thousand users that have experienced its effectiveness in home improvement. Proper application and consideration of these tips shall give your house an exquisite outlook. Before embarking on your window grills installation it is imperative the cost that you are likely to incur in completing the entire installation. It is always prudent to do a comprehensive cost analysis and comparison so as to land on the best deal for your window grill installation go for technicians or a company that carry out high premium quality installation at relatively lower prices. The cost should always be reasonable and match with the quality of grill installation. The reputation of the selling company or agent. The primary factor of concern when buying and installing grills for your windows for your house should also include looking at the reputation of the selling company. The best grill installations are carried out by highly reputed companies and agents who have stood the test of time in installing grills of all types and designs. It is good to go for a licensed company that deals with genuine window grills that are designed perfectly. The Quality of the material used to make your window grills. 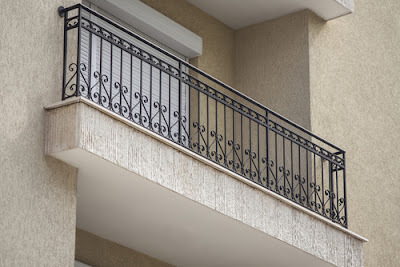 It is also imperative to look at the kind of material that has been used in making the window grills. The material should always be of high premium quality that will last for long. Good grills are made of perfect materials that tend to last longer and are always perfect for your house. There is no need to use grills that are made using low quality materials yet your house is built with the best materials. In such cases the grills may not match with your window panes. The design and style of the window grills. Before embarking on installing your window grills it is imperative to go for the perfect style and design that meet your needs. Go for a company that will offer the best grills. Such companies or agents offers wide range of grills for your house convenience Good grills are designed into different sizes that can perfectly fit your windows and thus give your house an elegant look. It includes the small size, medium and large. If you are looking for the best design and style for your grills then you can either go for invisible window grills or you can decide to go for Wrought iron grilles. These are the best grilles that will give your house the perfect outlook that you desire. It is wise to do a comprehensive comparison of the window grills depending on the sizes of your windows. Doing this will enable you to give your house the perfect window grill installation. The maintenance of your window grills. It is imperative to consider the maintenance of your widow grilles because installation will highly depend on how the grills will be cleaned. It is important to know that specific window grills require certain specific cleaning and maintenance procedures. It is also good to learn the cleaning procedures so that when you install your grills you do so to meet its maintenance needs. The competence and skills of the technician and the installing company. Many people always make wrong installation choice because they rush for any technician without considering the reputation of the installing company or even considering the competence of the technician. Reputation of the installing company. The prime consideration when installing your window grill should always be put into consideration. This is solely because most window grill installation is done by people without proper skills that meet the required standards. Therefore it is important to be thoroughly well conversant with the reputation of the installing company. This is because in case of any inappropriate installation in Singapore, the company would be liable to re-install your window grilles again. The best company should be registered and licensed by the relevant authorities in Singapore. This means that the company is fully staffed with the best workmanship. The outlook of the walls and entire windows. Before you install your window grill you need to consider the general appearance of your house whether the interior or exterior decoration. It is also good to consider using grills that will match with the color of your walls and windows. A good combination would give your house an extra beauty that many people would wish to have. It is also pertinent to consult window grill installation experts that are found in Singapore. Consultation will give you the opportunity to know the basic do`s and don’ts that are relevant when installing your window grills. It is important to consult your house designer and even a landscaper to help you find the right match between your window grills and the surrounding of your house. Therefore the above tips would help any house owner to install the best window grills ever. Thus it is recommended for any kind of home improvement that pertains window grill installation. The tips may sound basic but they actually play a critical role in any form of window grill installation particularly in Singapore. It is not very difficult to find experts who can do exciting window installation in Singapore. This implies that you can easily look for the perfect installer that will offer you with breathtaking services that will meet your needs and lifestyle.